Vincent Carretta's essay on Wheatley at the Public Domain Review. 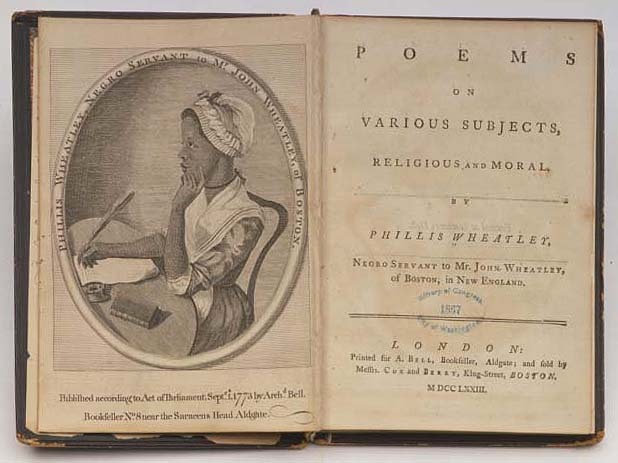 Teaching Phillis Wheatley from the Heath Anthology site. Prof. Ann Woodlief has prepared hypertext discussion versions of several works, including Wheatley's "To S. M." and "Upon Being Brought"
Images of Wheatley's poems at the University of Delaware. Image courtesy of the Library of Congress exhibit on Wheatley.